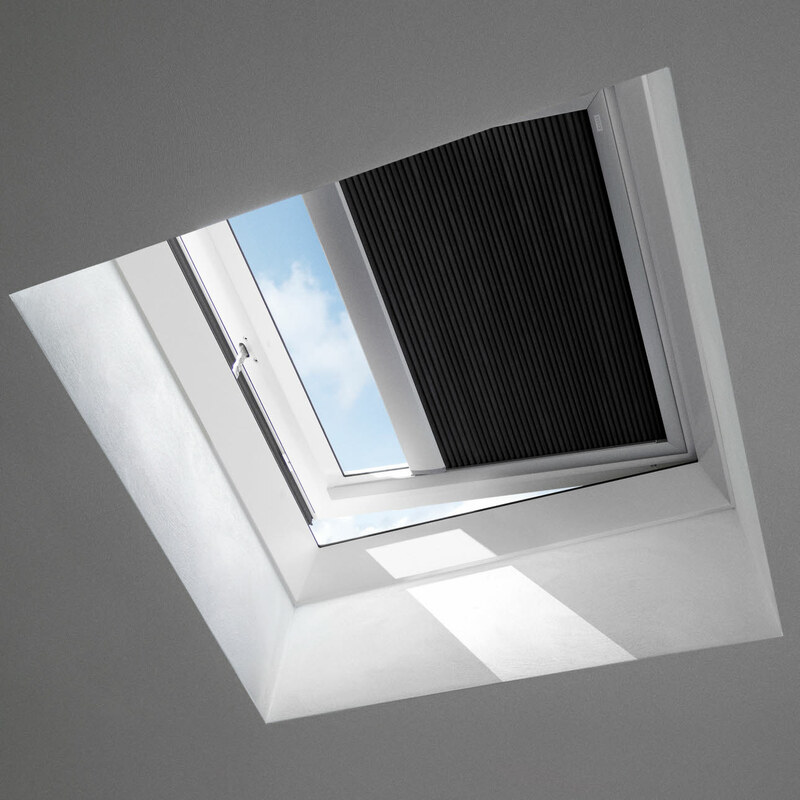 Used as an innovative solution for bringing large amounts of daylight through a flat roof, VELUX offer several options in flat roof windows, available in both fixed and vented options. 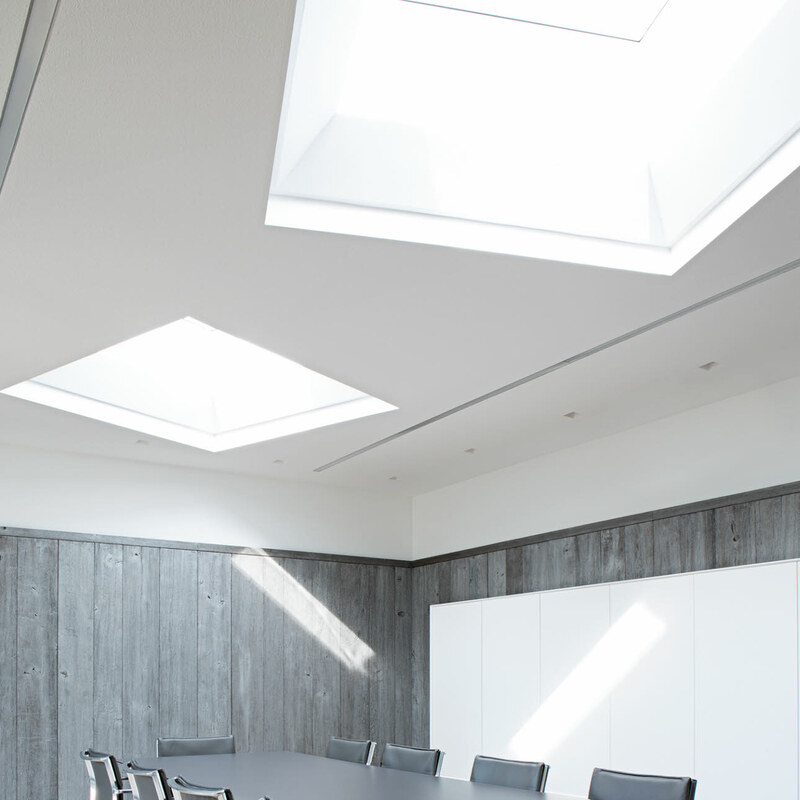 Fixed (non opening) flat roof windows are ideal when large amounts of daylight are required without the need of adding ventilation and vented options are for when ventilation is a must. 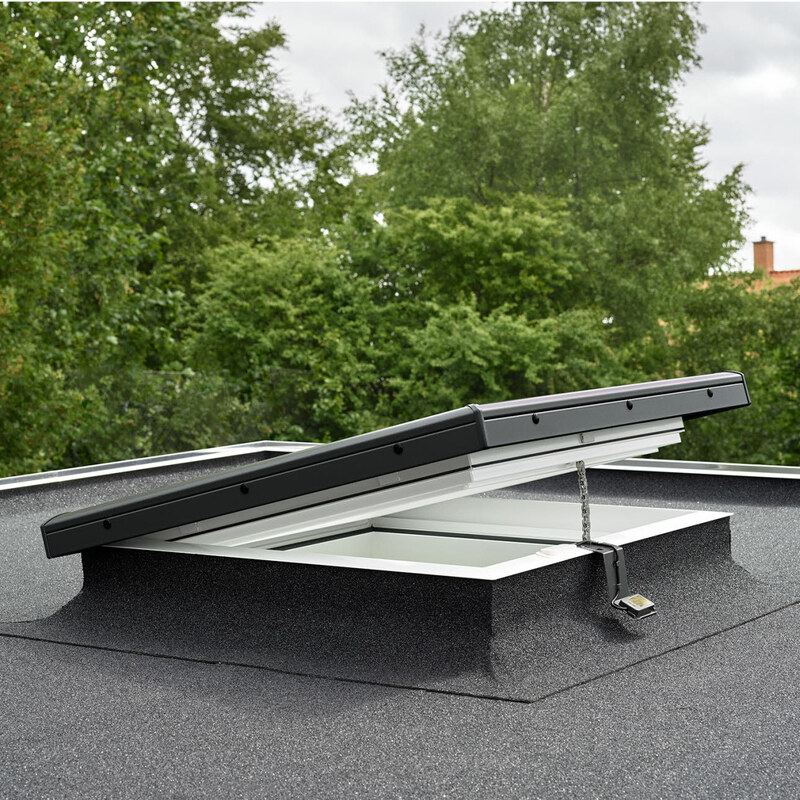 Vented roof windows are available electrically operated with a hidden motor, rain sensor and control pad. 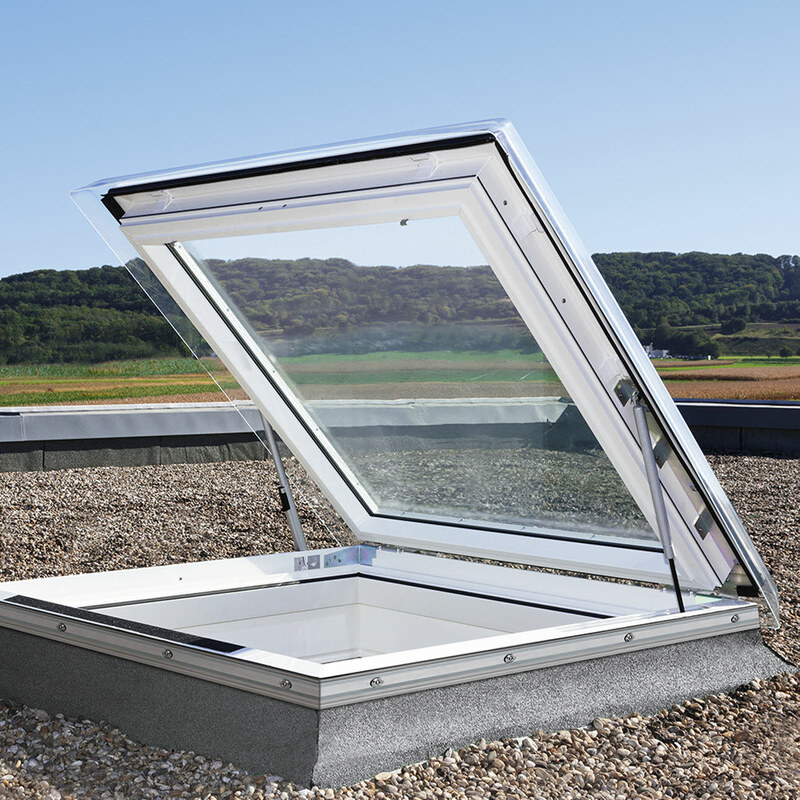 Both options are suitable for roof pitches between 5 and 15 degrees. 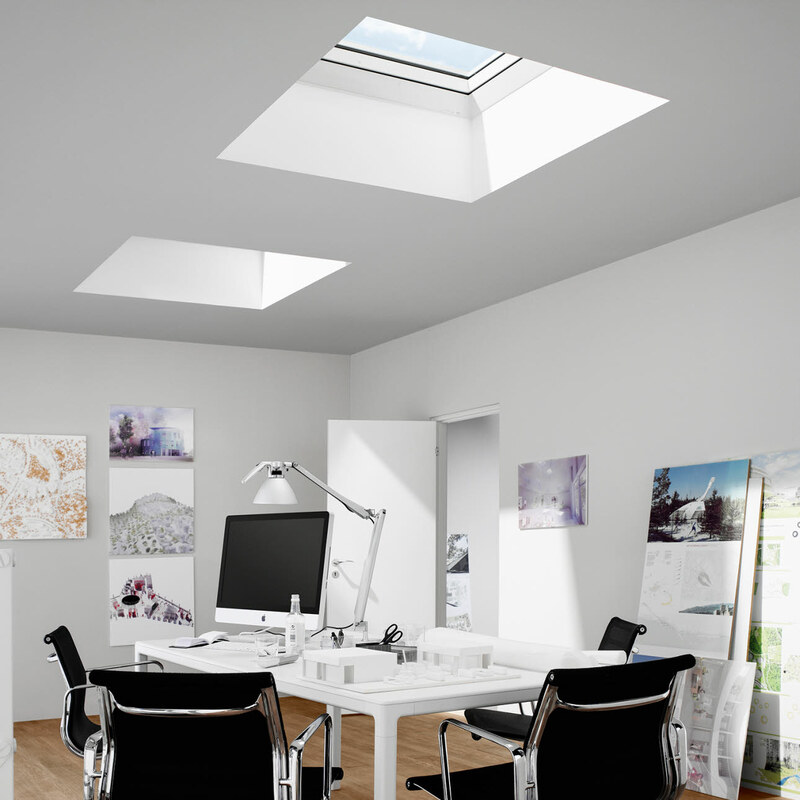 The classic VELUX flat roof window comes with a dome but also available is flat roof plane glass model which introduces a beautifully integrated 4mm hardened glass pane and stands out as a minimalist and discrete design feature, other ranges include the flat roof kerb option all available in eight sizes. 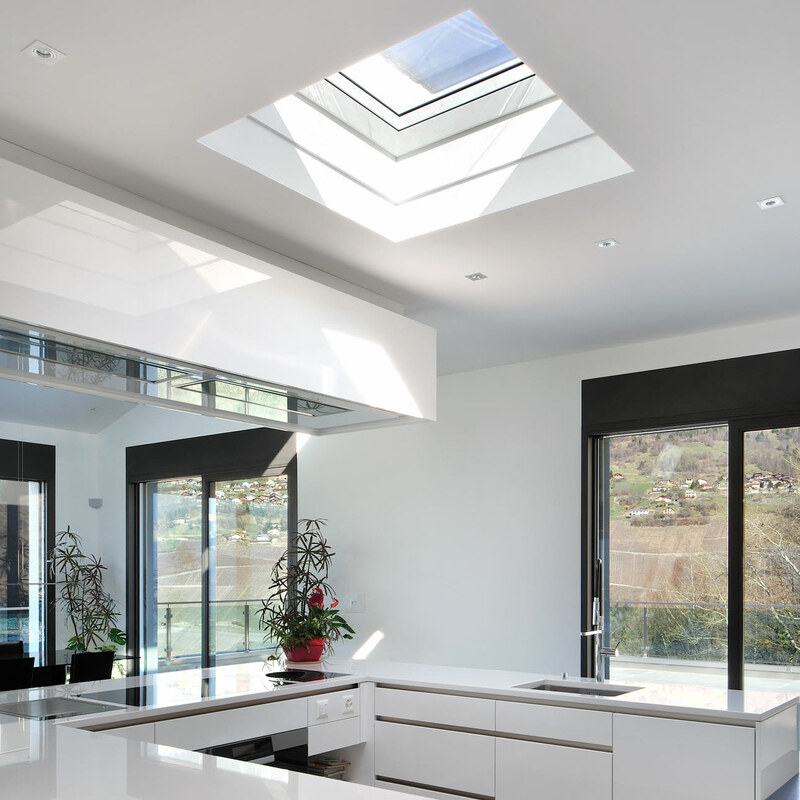 All VELUX flat roof windows provide rain noise reduction due to the structure of the double glazed, low-energy pane and the outer 4mm hardened glass pane. 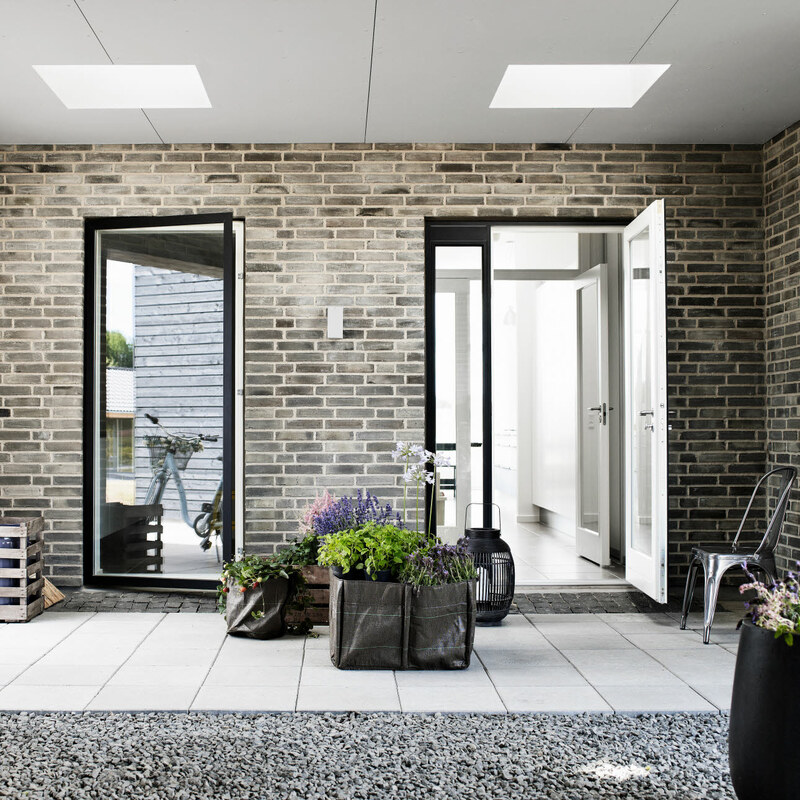 Together they provide protection from rain and hail noise as well as other external factors such as aircrafts and traffic.